Easily access to iCloud Contacts, Messages, Call history, Photos, Video, Audio, WhatsApp message & attachments, documents, etc. Compatible with all iOS devices and the latest iOS version. Allow you to preview iCloud backup details for free. Highest iCloud data retrieval rate in the industry. For security, Apple never tells you where your iCloud backup file is. If you need to access and view iCloud backup files, you should try a third-party tool or search for the path where your iCloud backup file is. However, even though you find your iCloud backup files, generally, you can't view the data in iCloud backup files in details. It's a package with all data mixed together, displaying as code. 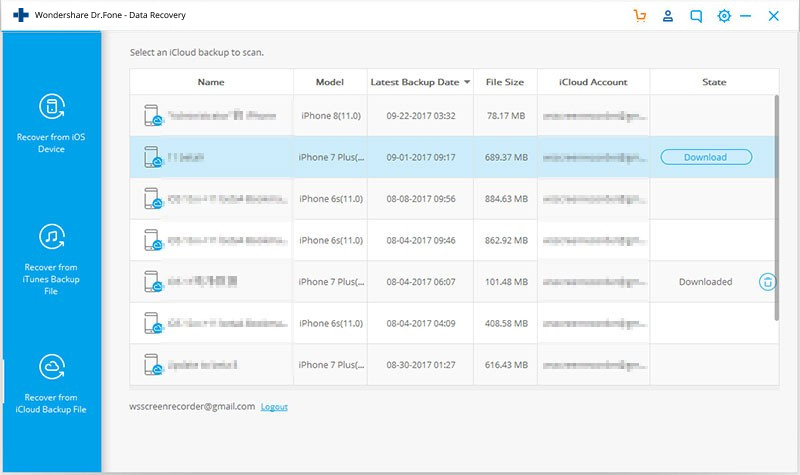 Luckily, dr.fone - Recover (iOS) will allows you to see all iCloud backup files and extract data from iCloud backup. 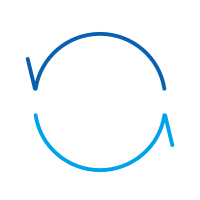 Simple, safe, flexible and fast. Download and extract iCloud backup files. Selectively preview and export data from iCloud backup files. Sort data in iCloud backup file into categories. Fully compatible with multiple iPhones, iPads and iPod touch models. 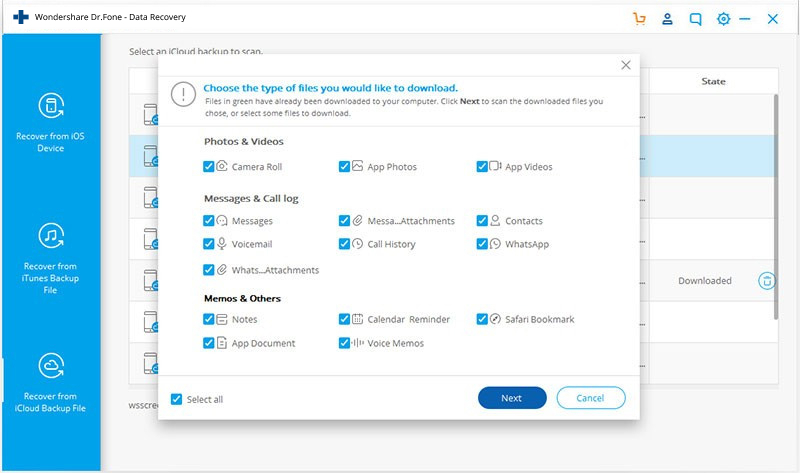 Download and install dr.fone on your computer. It has both Mac and Windows versions. After you install it, launch it right away. Then go to Recover iOS Data, select Recover from iCloud Backup File and sign in your icloud account. Click Start Scan to let dr.fone scan data on your iCloud account. During the process, you can see all data, including text messages, WhatsApp messages, WhatsApp attacments, Kik & Viber messages and photos are displayed in the left sidebar. Please keep your iPhone connected with your computer all the time. After the scan, you can view iCloud backup files on the window. Tick the item you want and save it on your computer as an HTML file. This could be the best way to access and export iCloud backup files to PC. And if needed, you can even print them if you have connect your computer to the printer. So, in this way, you just successfully access iCloud backup files and export them to your computer or device. 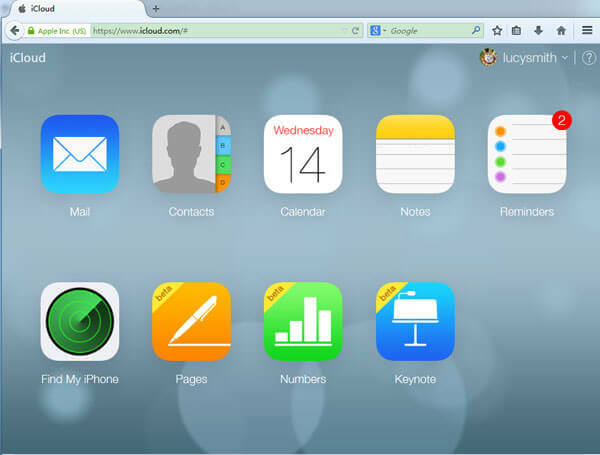 The only way Apple allows you to check what's on your iCloud is logging iCloud official site. 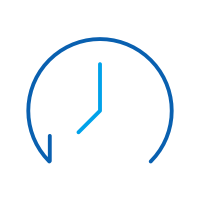 However, after logging in, you'll find that you can only check parts of data, including: contacts, mail, calendar, notes, reminders, Pages, Numbers and Keynote documents. Anyway, if you only need to check out the above mentioned data in iCloud, it's enough. But as for other files and settings, like pictures, wall paper, recorded videos, apps, text messages, MMS messages, iMessage, ringtones, visual voicemail, and more, Apple doesn't allow you to access them in iCloud. If you want to access more files in iCloud file, you should check out solution 3 which tells how to access iCloud backup files, picking up the data you need. Step 3. All of the backup files will be list on the window, you can just click to access iCloud file. Pros: Convenitent, easy and safe. Cons: You can't acess to some type of data, such as Kik messages, Kik photos, Viber contacts, Viber messages, Viber photos, Viber videos, WhatsApp messages, WhatsApp attachments. I know, it sounds stupid to access iCloud backup file by restoring your iOS device. However, you have to admit it is a way, right? And if you have an old iPhone, then you can take your old one as a test, right? Step 1. Set to factory default. Tap Settings > General > Reset > Erase All Content and Settings. Step 2. According to the set up prompts, choose Restore from iCloud Backup > Sign in with your iCloud account > choose a backup file to restore. Important: Before restoring your iOS device with an iCloud backup file, you should backup the current data on your iOS because all data on your iOS device will be erased and filled with old data from the icloud backup file. Sorry to tell you that Apple doesn't offered the path where your iCloud backup file is saved. Surely it's on cloud, on Apple's server. 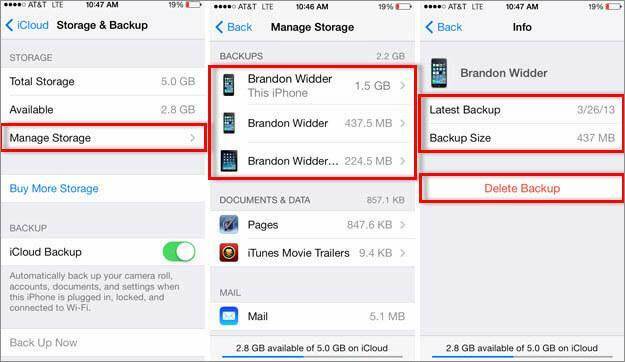 If you want to access to iCloud backup files, you should apply one of the right ways above. 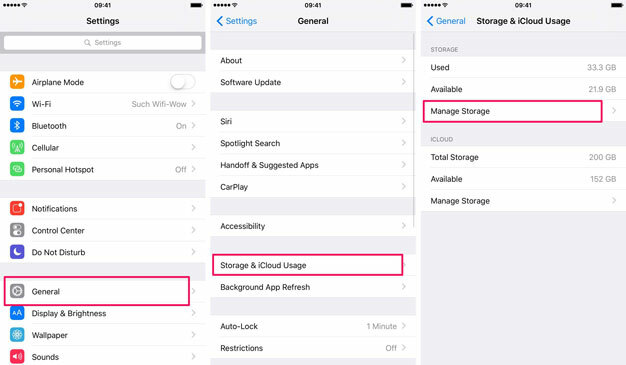 If your device runs iOS 8 or later, go to Settings > iCloud > Storage > Manage Storage. As for earlier version of iOS, go to Settings > iCloud > Storage & Backup. On your Windows computer, open iCloud for Windows, then click Manage. iCloud backup files take too much space. If you've used iCloud for a long time, then for sure, you should delete some old iCloud backup files, otherwise you have to pay for extra storage. 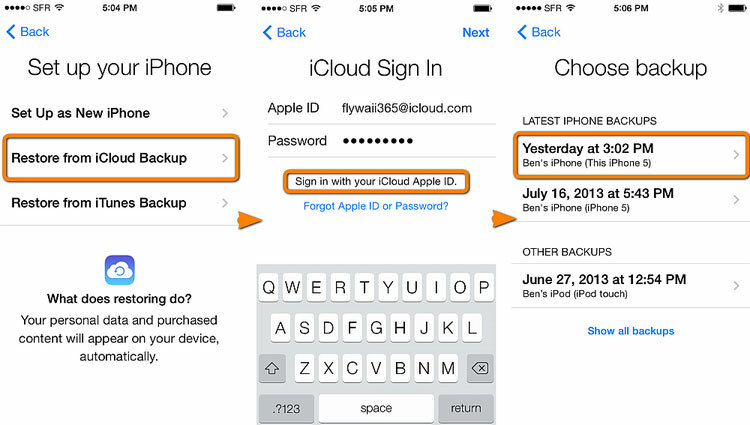 Follow the steps, you can delete old iCloud backup files on your any of your iOS device. Tap Settings > iCloud > Storage & Backup > swipe iCloud Backup to ON > tap Manage Storage in the same window. Tap on the backup file you want to remove from iCloud > tap Delete Backup. Learn how to view text messages on iCloud in this extensive tutorial. 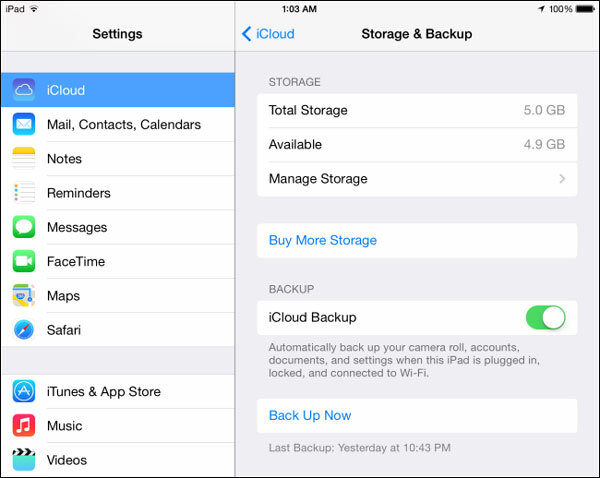 The post includes a stepwise guide to take iCloud backup messages, view, and extract them. In this article are going to take a look at three jailbreaking methods that can be used to jailbreak an iCloud locked iPhone device. In this article, we're going to take a look at three of the most commonly used methods to fix iCloud lock. Change iCloud email address maybe someone accidentally deleted the address. Change email address as this is the foremost step in protecting your privacy. 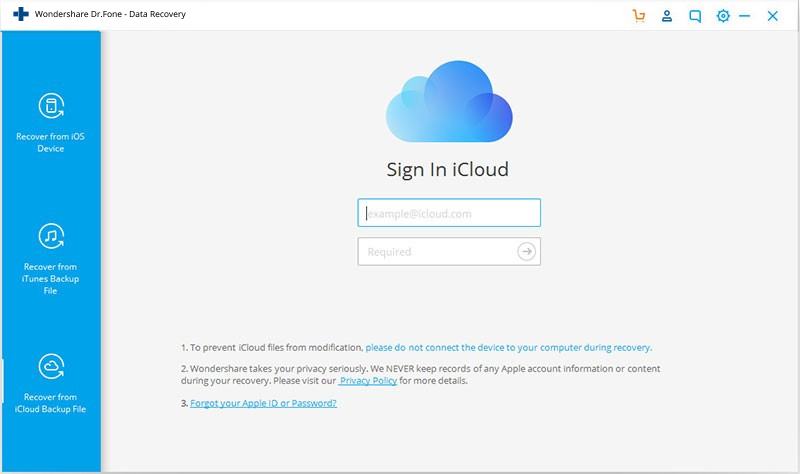 In this article we are going to be looking at how to remove iCloud account on different devices even without a password.